Safety Policy — JS International, Inc.
JS INT'L, Inc. has an active Safety & Health Program which establishes and implements safety & health standards and requirements for the prevention of accidents and hazards throughout every office and division of the company. Implementation is executed through project specific Accident Prevention Plans, inspections, continuous training and an aggressive preventative maintenance system. Under the provisions of this policy, workers shall not be required to work in surrounding or under working conditions which are unsafe or dangerous to his/her health. 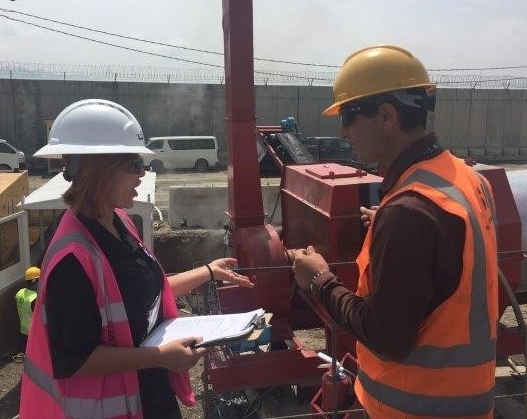 The provisions of this program are strictly enforced by Management and implemented by the HSE Managers in each of our divisions through inspections, a corrective action tracking program and training. • Keep the employees informed of the hazards likely to occur in the workplace during health and safety jobs training, precautionary labels, emergency alarms, color codes, chemical information sheets, and similar stuff. • Bookkeeping and safeguard of medical records related to injuries and illnesses in case an incident affecting an employee happens in the work area where medical history of the patient will immediately become a need. • Perform exams and other medical screening procedures to ensure maximum health of all employees which can be detrimental if there are illnesses left unchecked and can likely harm the majority. • Avoid retaliation or discrimination of employees in the workplace. Create a Safe Work Environment for our Employees.